Journeyman Productions presents in collaboration with The Invisible Orange, Bully's Studios Inc, and Ryan Shepard Sound: the first annual Journeyman Battle Royale! As well as a special guest performance all the way from Mexico: Piraña! 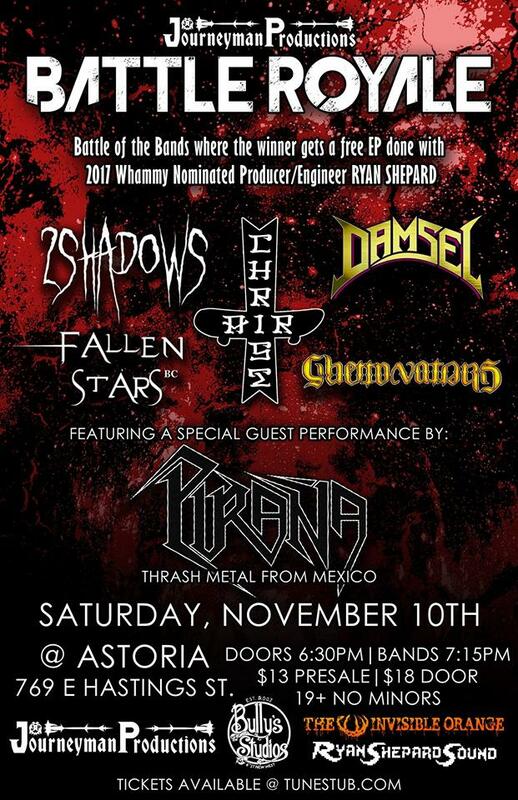 Saturday November 10th @ The Astoria | 769 E Hastings St.